I fell in love with Max Barry's work while reading Syrup almost 10 years ago. I loved his quirky characters and his fresh, dark and twisted writing style. So of course when Penguin contacted me to review Lexicon, it was easy to say yes! Voted one of the best books of 2013 by a number of different publications, Lexicon is a thriller about the power of words and their ability to persuade. The novel kicks off following Wil Jamieson, a man who lands at an American airport and has completely forgotten his identity. Wil is then ambushed by two men in the airport bathroom who question him about what he knows about a particular dangerous word. After he begins to regain some of his memory, Wil escapes to Australia to learn more about his identity. I'm a huge fan of the British television series Downton Abbey, so of course it was hard for me to resist this title when I saw it at the bookstore. 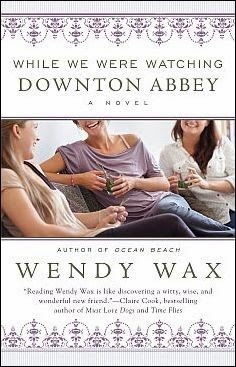 This latest by Wendy Wax is about how four people desperately in need of friends during the most difficult time periods of their lives bond with one another during viewings of Downton Abbey. Edward Parker is the concierge of one of the most beautiful, historic apartment buildings in the heart of Atlanta. When British-born Edward notices that a handful of the building's occupants seem a bit lonely and troubled, he organizes a weekly screening party during which he shows episodes of Downton Abbey. It is at these parties that Samantha, Claire, and Brooke meet one another and become the most unlikely group of best friends. 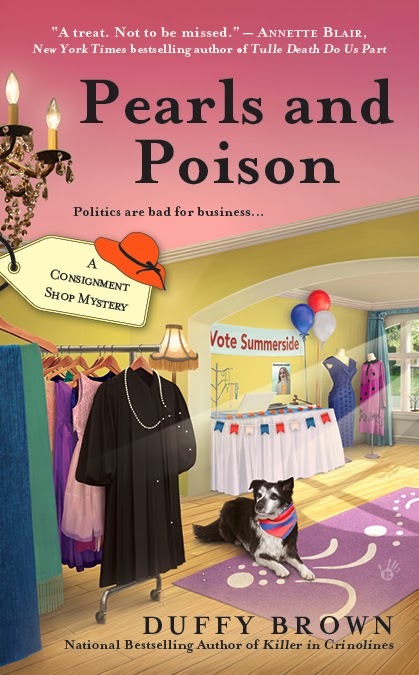 Pearls and Poison is the third installment in Duffy Brown's "Consignment Shop" cozy mystery series. The series takes place in Savannah, Georgia and features sleuth and heroine Reagan Summerside - the owner of the Prissy Fox consignment shop. Since reading Iced Chiffon, which is book #1 in the series, Brown has been generous enough to have Penguin send me a copy of each new release to review and feature on Dreamworld Book Reviews.